The Henry Daily Herald reports Col C.T. Zachry‘s last home, a house in McDonough, Georgia, will be relocated to serve as visitor’s center or museum at the Nash Farm site. Zachry was Lieutenant Colonel of the 27th Georgia Infantry at Sharpsburg, where he succeeded to command of the regiment when Colonel Smith was killed in action. The Nash Farm is noted as the site of the last action of the Atlanta Campaign of 1864. Where is this house currently located? Is it at 33 Jonesboro Street? Col Zachary’s last residence, as mentioned in the recent news story, was/is at 61 Dunn Street in McDonough. Sorry I don’t know the number or street for the house in the photograph above. 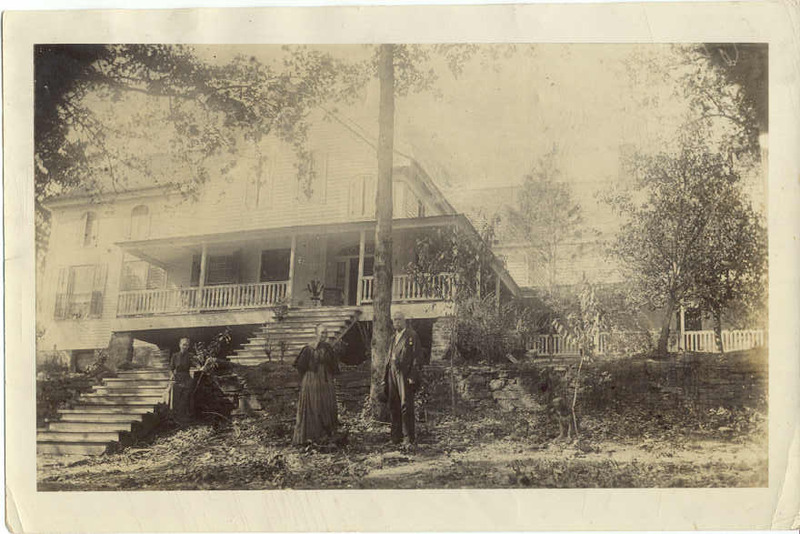 However, it has also been labeled as “the Peachstone Shoals House” and was identified as being in Henry County “near McDonough”. Peachstone Shoals was a named community in the County before the turn of the 20th Century. You can see it on this 1885 Henry County Map. ~Col. Zachry can grind wheat as well as corn at his Peach Stone Shoals Mill. So the Colonel may have named a house in or near McDonough “Peachstone”, but as I look at this again, I think it likely it was located near or co-located with his mill at Peach Stone Shoals. This is a distinctive house, and if it survives, I’d bet it would be easy to match on sight.